Just as I usually do, I found out about something very cool last minute and by accident. 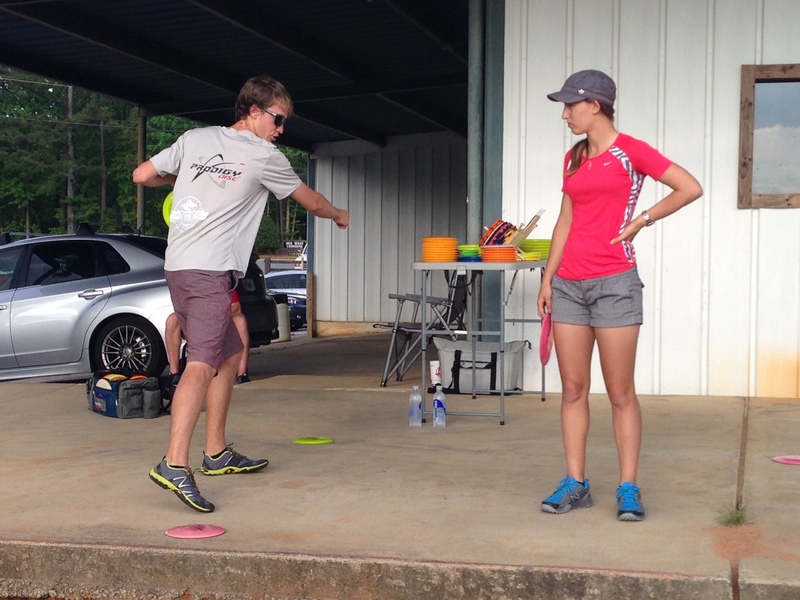 Two of the best disc golfers in the world: Will Schusterick & Paige Pierce hosted a clinic at Oregon Park near Dallas, GA last night, and it was fantastic! The majority of their training wasn’t new to anyone there (grips, stances, etc. ), but it was nice to ask true professionals questions that you can’t ask just anyone. Will was able to help me with my up-shot wrist work with tremendous results. My wrist was too tight, and he fixed it. That’s something I could have not learned without a real face to face training session. Paige was also able to help me and many correct their distant putting by focusing on follow-through. I was much more accurate at about 40 feet after Paige demonstrated techniques. 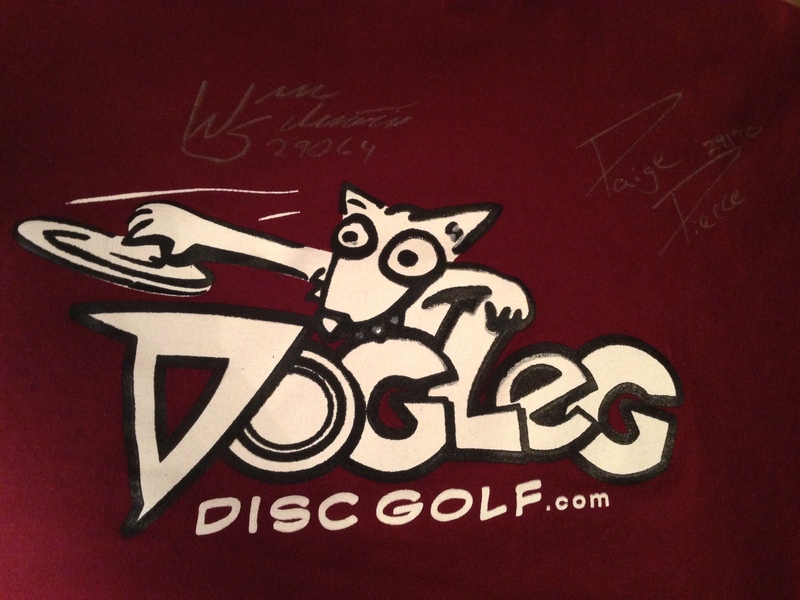 I think one of the best times of the evening is getting the Dogleg shirt signed! Overall it was great to support the local disc golf scene and two of the best disc golfers out there. Will and Paige are truly great people with a lot of class. Make sure you root for them this weekend for The Hall of Fame Classic here in GA! This entry was posted on May 1, 2013 by Destin. It was filed under Uncategorized and was tagged with clinic, oregon, Oregon Park, paige pierce, training, tutorial, will schusterick. That’s pretty sweet. If only top pros would ever come out to Utah…. what a great post, thank you for sharing. Really cool that these great players were able to impart some of their knowledge! By the way, if you want to show people exactly where the Hall of Fame Classic is, there’s this really cool mapping site that easy to use and lets you include a picture and directions. It’s called http://amap.to/ and you can customize a link so that you can easily share your map with anyone who might want to check out the tournament. Best of all, it’s free. So give it a look, and here’s to future aces!